The Importance of Home Warranty! Home warranty is ALWAYS a good idea! For most of us, purchasing a home comes down to the penny. Even though we get inspections, the inspection is only necessarily good for that particular day. What I mean by that is, and inspector can not 100% tell you that your A/C unit has 7 years life on it. He/She just goes by how everything is working in that moment. Most times, that moment last longer than just that day, but for others not so fun things can happen. I had a buyer whom recently bought her home in February. A lot of times we can get the seller to pay for the first year of home warranty. In this instance, the seller did not agree to pay for home warranty, so I suggested that she still pay for it. She took my advise and purchased coverage for her Fridge, Washer/Dryer, interior and exterior A/C unit, and other appliances in the home. Less than a month later her A/C just stopped working. She paid her $65 deductible, the home warranty company made the repair appointment, and her A/C was fixed. For her, this was a lifesaver. After moving in and spending money on other additional unexpected items, she was tapped out. The A/C unit cost more to fix than what she had paid to actually get the home warranty. She had exceeded her savings on home repair items. Now if anything were to happen throughout the year, she is covered. She was very happy that she got home warranty and said she would recommend it to anyone purchasing a home. Now if you purchase a brand new home, most times everything is under warranty for at least the first year. In that case, if it is, I wouldn’t worry about purchasing the additional warranty. After the first year, you may want to purchase it if your coverages expire. If you have to fix an A/C, most times it will cost you a minimum of $500. They typically charge a trip charge, so if you do not use them to repair, that is a complete loss. Keep in mind, you may not be an A/C expert, so they may add additional items to your bill. To avoid that, you never want the repairs to come out of your pocket. 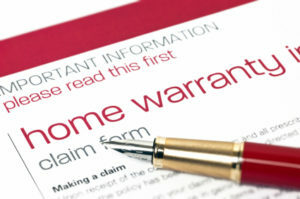 How home warranty companies work is, if they can not fix it, they replace it, and you just might get lucky. An A/C unit is generally around a $3k-$7k item to replace. You can purchase home warranty at any time. Here are some companies to look at!